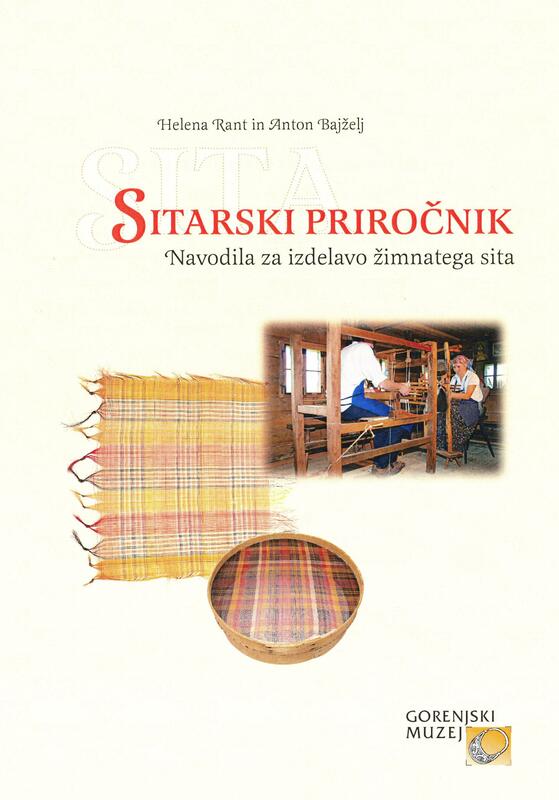 Horse hair sieves were woven from the 16th until the middle of the 20th Centuries in the villages between Kranj and Škofja Loka – namely Stražišče, Bitnje, Gorenja Sava, Šmarjetna gora and others. Among the Loka nobility, cloth weaving was very widespread, so we can view the weaving of horse-hair as one the skills brought to Sorško polje by the German settlers. The families that lacked enough land to survive made their living by making sieves, while the needed horsehair was supplied by sieve-makers or suppliers. Many of these sieve-makers grew rich through this, some even gaining titles for their part in the sieve trade (e.g. Jože Jenko pl. Jenkensheim in 1749 and Natalis Pagliaruzzi in1809). In the 19th and the beginning of the 20th Centuries the long-standing Anton Globočnik firm was operating, the remains of which can still be seen today in the mighty Matajč house, with its specialised sieve-making architecture. The retailers sold most of the sieves abroad, mostly to other Austrian, Hungarian and German countries, as well as to France, Italy, Russia, Spain, Holland and even Africa and Asia Minor. Many, of course, were bought by the people of Ribnica, who peddled them on Slovenian and other territories. Horsehair sieves are one of those products of the Carniolan lands that spread our good name all over Europe. After the second half of the 19th Century, sales of horsehair sieves started to decline, but instead they began using horsehair in tapestry and as fillings for mattresses. In 1907, the Sieve-making and horsehair union was established, enabling the continued production of horsehair sieves until the 1960s when the practice finally died out completely. With the death of the last sieve-makers, the process of horse-hair sieve-making was forgotten, though the tools used for the preparation of horsehair and making the sieves, as well as several actual sieves, are still kept in certain museum and private collections. The sieve-making tradition in Slovenia, especially that of making them colourful, represents a unique European heritage. Vibrantly coloured sieves with yellow, red, orange, white, black and brown diamond and chequered decorations out of horsehair, impress us even today with their unordinary material. In the Gorenjska museum, over one hundred items – tools, apparatuses and other utensils – used for the preparation of horsehair and making sieves are kept, as well as 22 sieves. Most of these were once used for sieving flour, while one served as a press for fruit and vegetables. This type of sieve was usually woven from several layers of horsehair so as to be able to withstand the weight of the press. The sieve-makers made many different types of sieves, distinguished by the colourful decorations, size, shape, density, the number of layers of horsehair and its primary function. The size of the sieves varied from 9 inches (24 cm) all the way to 19 inches (50 cm). They were also of various shapes – round, square or rectangular. The density of the sieves was determined by their primary function, the densest able to hold water. To make a sieve intended for pressing fruit and meat, they had to weave as many as 8 layers of horse-hair at once. One to three layers were woven for the mill sieves, while most of the others were made from one layer, with the exception of the one used for sieving of flour, which has two layers. They also made sieves used to sieve pepper, saffron, for use in pharmacies and beer breweries and so on.